In Metrópole, only one thing is certain: the absolute power corrupts absolutely. References: 24 Hours, The Good Wife, Breaking Bad, The Shield, CSI, Cold Case, True Detective, Flash Forward. With a theme most suitable for an adult audience, Metrópole, invites us for voyeurism and to reflect on how power affects the dwellers’ lives in a big city. 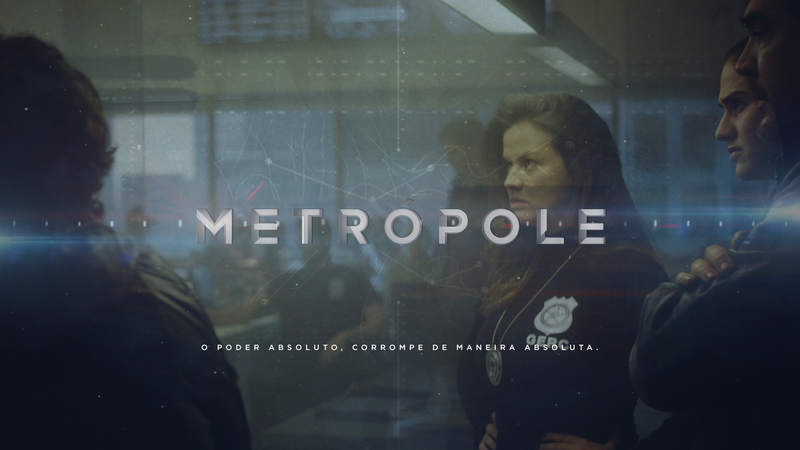 With an interspersion of distinct plots, Metrópole will cross the lives of characters coming from different realities, showing how the facets of power can put together individuals that would never imagine to have something in common. Nothing beautiful survives in the Metropolis. A special police group, a nightclub and a law office cross and collide in the action drama. With a theme most suitable for an adult audience, Metrópole, invites us for voyeurism and reflection on how power affects the lives of dwellers of a big city.